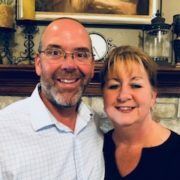 6-30-18: Kim & Pat Anderson; hear this spectacular life-changing story! This week on The Rise & Thrive OSJ Radio Hour …Kim & Pat Anderson. Hear this spectacular life-changing story! What is Your Bucket List – Are You reading it or Doing it? Do You have Sleep Apnea??? How do you know if you do or don’t??? EXACTLY!!! Do You know CPR ? You Don’t … It can SAVE Someone’s life even a family member’s! What do all the three questions above have in common… A LOT! Pat and Kim Anderson are the owners of Anderson Plumbing in Bethany which they started 2002. They have been married for 31 yrs and have 4 grown children and 4 grandchildren. They reside in Piedmont, OK and love gardening, beekeeping and spending time with their family. They are very active in their church and various business organizations. Kim loves to cook and read. Pat enjoys his new fitness hobby of playing pickle ball, fishing and hiking. When you are faced with a life changing experience like cardiac arrest that touched the lives of Pat & Kim Anderson last year … you make some life changing decisions. One of those was a Pilgrimage they went on last month to Camino de Santiago/Spain. https://okseniorjournal.com/wp-content/uploads/2018/06/Kim-Pat-Anderson-e1530204907887.jpg 1884 3959 rg7878 https://okseniorjournal.com/wp-content/uploads/2017/09/OSJ_Logo_300dpi-300x100.jpg rg78782018-06-28 11:53:372018-06-28 12:08:456-30-18: Kim & Pat Anderson; hear this spectacular life-changing story!